Undertaking a wide and varied range of stone masonry work across south Wales and the west, we have become recognised as one of the leading masonry companies within our sector. Still very much the core of our companies activities and with a reputation second to none within the masonry sector, we employ only the finest qualified, time served and above all experienced stone masons south Wales has to give. Coupled with our unique dynamic approach, knowledge and many years of trading in the masonry sector we offer the complete one stop shop for any type of stone wall construction or repair project. Boundary walls, retaining walls, new build homes, barn conversions, civil structures and award winning city centre regeneration projects are just a selection of our masonry experience. 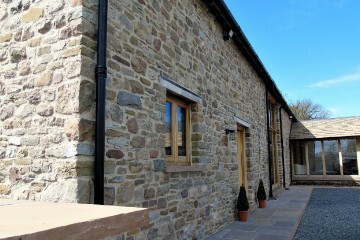 Operating from our Abergavenny base, our employees are passionate about stonework and everything that it entails. Together we have compiled a team rich in knowledge and experience in the construction and restoration of stone structures and offer our services to all types of clientele. Whether you’re a garden enthusiast or a landscaper requiring our specialist trades people to construct stone walls around your designs or a highly regarded civil engineering company requiring masons that hold specific H&S qualifications and are trained in working in challenging environments we have the right teams to suit you. Martin Powell set out to give the construction industry a professional masonry company back in 2003. Equipped with fully qualified, trained stone masons all with the view of delivering masonry projects to the highest standards possible whilst doing so in the safest and most efficient manner possible. Today this has been achieved through hard work, dedication and our ability to adapt to different working environments through our continued training programme. 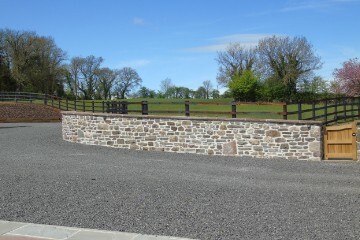 We can build your fresh new wall with an array of finishes and techniques – Ashlar, coursed and uncoursed stonework, random rubble walls as well as ragwork which has become very popular within contemporary new build properties. 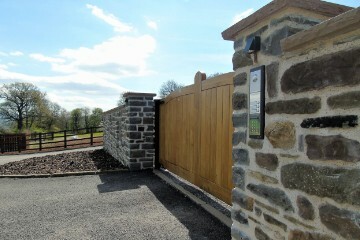 We work with sandstone which is natural to Monmouthshire and Herefordshire as well as limestone and pennant to name a few. Utilising age old traditional methods, we have a specialist team of tradesmen specifically undertaking restoration works. Knowledge and experience within the traditional style of stonework building techniques has lead us to successfully complete restoration works to churches and listed buildings. With our network of suppliers, we are able to match, source and supply building stone to your project whether it be a new build, or an extension where the stone needs to be matched exactly. 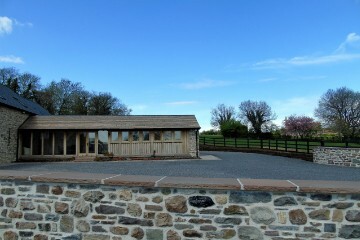 Supplying new sandstone, limestone and pennant as well as reclaimed stone is common within our day to day practices.